These suede, highly waterproof and breathable boots that give a perfect fit due to their lace-up closure, get grippy on any surface, feel lightweight and keep you dry in the summer and warm in the mild winter. They can take any hit, keep away dirt, provide comfort and are easy to put on. All of these you get in one boot... go figure! Don’t get confused by the fun colors! These boots do know their job! 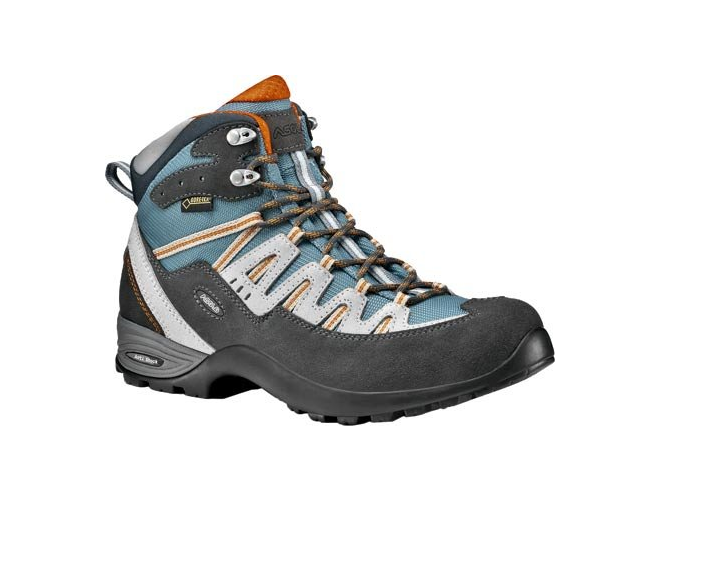 My husband and I are always hiking and he had some Asolo boots and I had another brand… we were always arguing about who’s boots are better, but after mine wore out and couldn’t handle my challenges anymore, I decided to team up with my husband and buy myself some Asolo boots. The design of these boots looks highly professional, but the colors say „fun, fun” all the way! 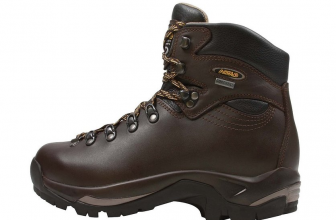 Even though the boots are made in Romania, the construction of the boots is very sturdy and the materials are high quality. They are made of suede leather, combined with Nylon, but are highly waterproof and their breathability is simply amazing. The lace-up closure lets me tie these boots just as tight as I want, providing the perfect fit. The boots run true to size and the width is regular. The Vibram rubber outsole acts great on any kind of surface and has a good grip, giving good traction. 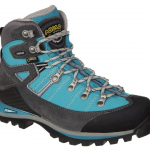 The boots feel lightweight and they work in moderate to warm climates. They keep my feet warm enough and completely dry, not letting the sweat ruin my summer hikes. The underfoot support is also very good as is the ankle support. 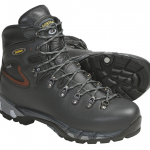 These boots perform very well on any kind of terrains and are slip-resistant. The mid-cut design makes them perfect for flexibility and freedom on the move. 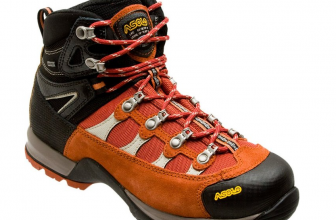 The nylon used for the outer part of the boots is abrasion resistant and not even the worst shock from the sharp rocks ruined them. The gusseted tongue keeps debris and moisture away. There is enough padding on the tongue and collar to increase the comfort but also for the midsole, that simply molds to my feet. The heel pull loop makes the boots easy to put on and to take off so that’s a plus also. The boots give great comfort since they have also an anatomically shaped footbed. 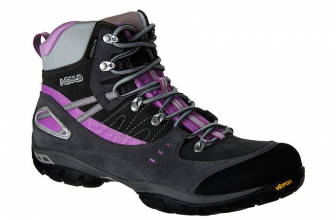 the outsole gives a good grip and the boots have a good traction on any surface. When it comes to the downsides of these boots, i wouldn’t know what to write about that, since they served me well in all their tasks so far. I regret, though, they are not warm enough for the very cold winter, but this is difficult to get when the boot is both highly breathable and waterproof. So, there is no list to make, just this only mention: they are not for the cold of winter. To conclude: I am very happy that I teamed up with my husband and we both hike in Asolo’s these days.